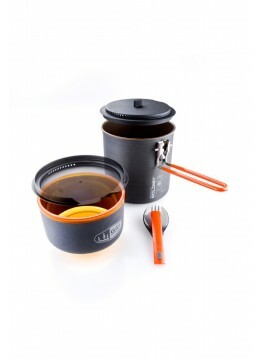 Pots & Cooksets - Adventurestore s.à.r.l. 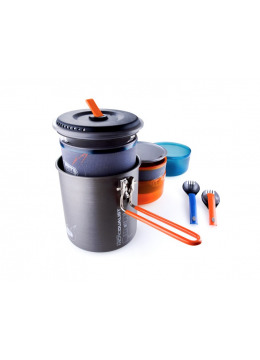 Very lightweight & compact cooking & eating kit for 2 people. 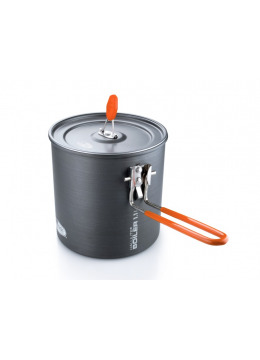 Pure & simple lightweight aluminium pot. 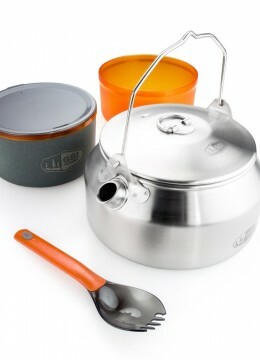 Traditional & robust stainless steel tea kettle. 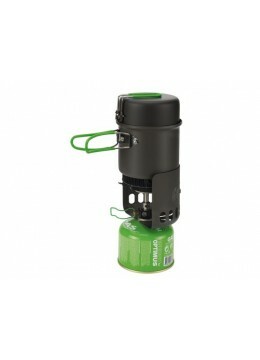 Perfect for the campfire. 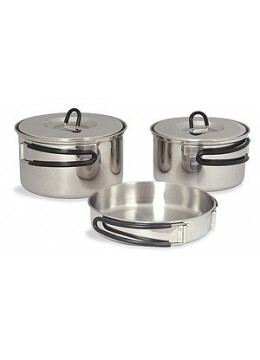 Sturdy stainless steel bowl with a handle, that can also be used as a pot or pan. 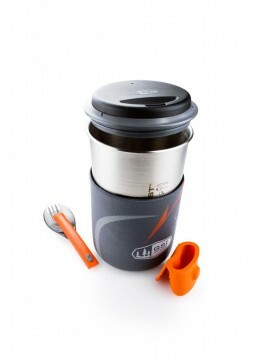 Compact stainless steel cook set with foldable spork. 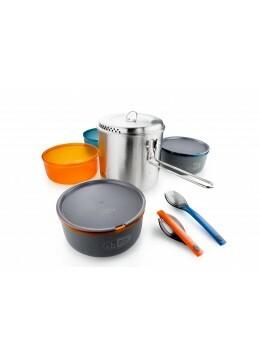 Simple & smart cook set consisting of a stainless steel pot and 2 cups. 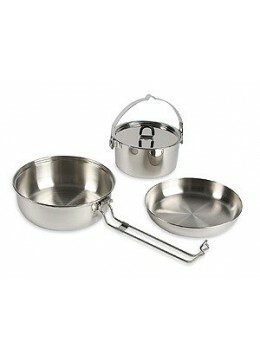 Advanced cookset with a lot of dishes & tools. It all fits into the pot. Hunters pan made of iron. Made in Sweden.